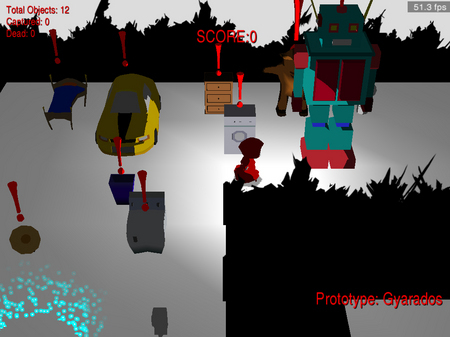 Here is an gameplay screen from one of the early builds of abandon. You can see some interesting things at play here, including emoticons (exclamation points) and a different score counter. I loved the exclamation points! They were a heavy hint towards the style of game we were making (think, SNAAAKE!!!! ).